Publié le juin 20, 2010 par veronique2Publié dans animal rights, Book Reviews, Environment, Food, Original Blog, VeganismTagué animals, eating, factory farming, global warming, meat, vegetarianism. 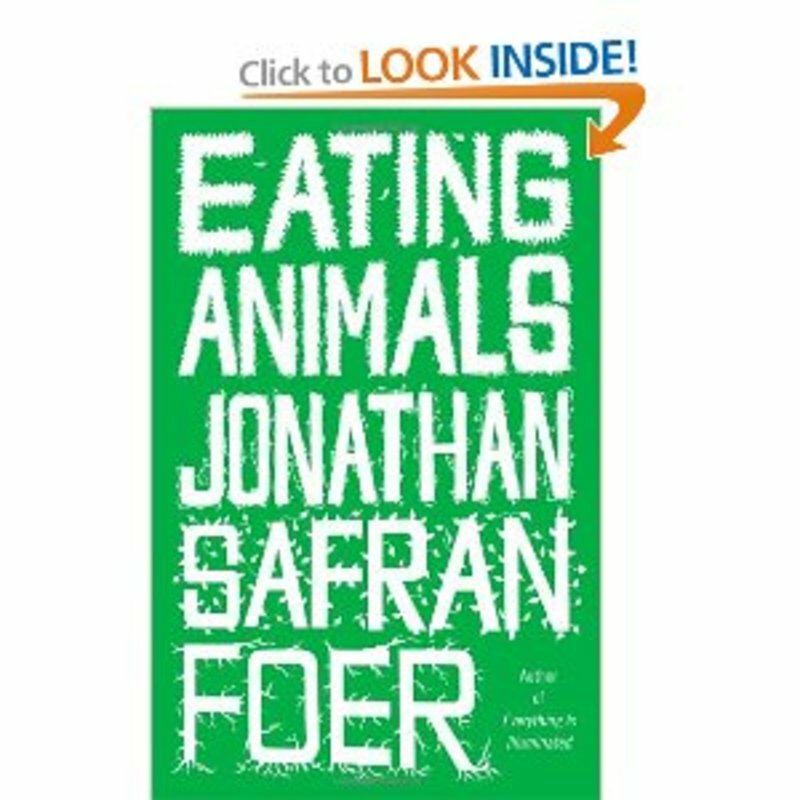 Mr. Foer’s book was one of the more disappointing that I’ve ever read. He is an incredibly gifted writer but also a seriously flawed individual in terms of his ability to follow his own thoughts/feelings to their obvious and inherent conclusion (to live vegan). This book could serve as a classroom example of someone walking up to the edge of comprehension and once a glimpse is made of the necessary conclusion…they turn and avoid what is right in front of them. It is tragic partially because of his obvious skills as a writer…it is a bit frightening because of his obvious skills at recognizing horror and then continuing to support it. I very much agree. In facf he now suppport so-called « humane myth ». However i also know the book veganized a lot of people. So it was obviously good enough for them. I’m just bothered that he doesn’t completely « get it » and probably buys into some nutritional myths as well. Very disappointing, to say the least.